Since I was ill most of April, I don’t have a whole lot of favorites for the month. Just a few things stand out in my memory. 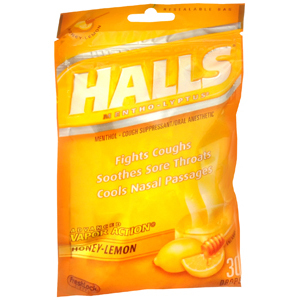 Honey-Lemon halls! Oh my god I think I had more of these then I should have. These made my days slightly more bearable. Thank god. Plus they taste pretty nice and they are very soothing. Usually I’m not a big fan of honey flavored things. But these were nice. Now let it be known. I LOVE Softsoap body washes! Adore even. There are currently five bottle in my bathroom right now, all in different scents. I have to stop myself from buying more until I use up some of what I have. 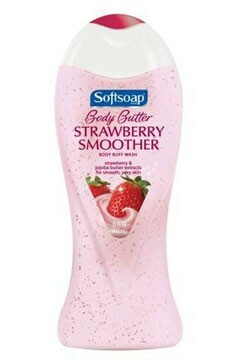 Currently I am really into ‘Strawberry Smoother’. Smells SO good. It’s creamy and leathers up well. Strawberries are my favorite berries. I find it’s hard to find nice strawberry scented things. This smells great. I can’t get over it. 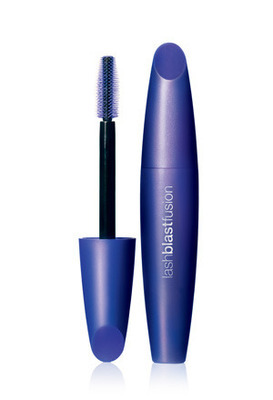 Cover Girl LashBlast Fusion. Is my new favorite mascara in a long time. It just makes my lashes look so good. I know some people feel like its just like regular lashblast. I don’t feel that to be the case at all. I have two lashblast;black and brown. I don’t feel like its as good as Fusion. I feel I will be using Fusion for a while.